This year, the Science Communication Unit at UWE Bristol is able to offer a bursary which will part-fund a place on its renowned MSc Science Communication. The value of the bursary is £1500. To apply for the bursary, you must have applied for the MSc Science Communication by Friday 7th June 2019 and be wishing to start the course in September 2019. Only those who have been or who are in the process of being offered a conditional or unconditional full-time place will be considered eligible. The bursary may only be used on the Science Communication courses offered at UWE Bristol. Write a short popular article that is no more than 300 words long on an area of science, health or the environment. The article should include a headline. Also provide brief details of the publication where the article would appear, outlining its audience, the types of article it publishes and why your article is a good fit with the publication – this should be no more than 200 words. The chosen publication should be a newspaper, magazine or website that covers science-related topics for non-experts. Write an outline for a science communication activity (maximum 500 words) on an area of science, health or the environment. The outline should describe the planned activity, give an indication of content and details of the target audience. Applications must be sent to Andy Ridgway and received by 5 pm on 10 June. 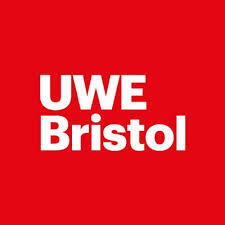 More information available on the UWE Bristol website.